Content is king online and on screen, right? Then the same must be true for in-person gatherings. Attendance is the key element to a successful event. Cinema events are revolutionary and they command innovative approaches to driving attendance. 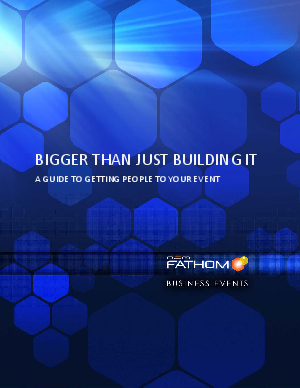 This guide is a compilation of the best attendance-boosting tricks and tips from NCM Fathom's clients, partners and heroes. We have seen our clients take some creative approaches to getting their top advocates (employees, clients, prospects, channel partners and more) into the theater for an unforgettable experience.